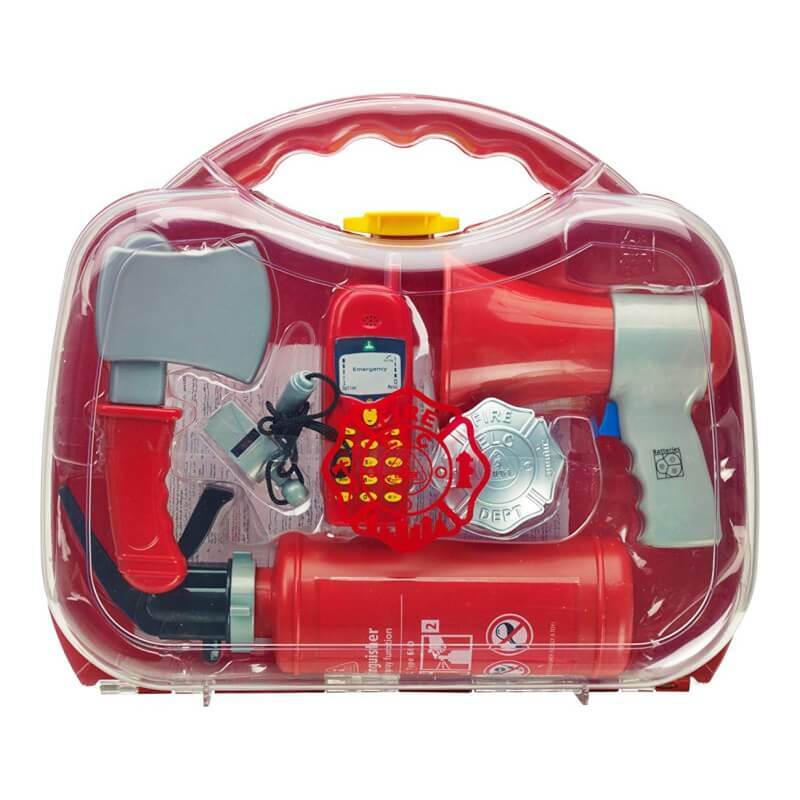 The fire accessories case is full of exciting fire fighting kit for you little fire officer to enjoy. With play fire extinguisher, phone and voice-changing megaphone. This fun Fire Fighter Case helps your child feel like a real fire fighter. There is a plastic axe, a phone, voice-changing megaphone, badge, whistle on a string and a mini play fire extinguisher. The accessories case is a great for your mini fire fighter to invent lots of exciting rescues and enjoy emergency play! Your child can share out the pieces and enjoy being part of a fire fighting crew with a friend too. Playing fire fighters with the Fire Fighters Case is a fun way for your child to enjoy role play rescue adventures. Enjoying role play is one of the best ways for your child to expand their imagination and start to understand how the real world works. Role play helps your child improve their communication skills and learn to think creatively, which is also excellent for enjoying school. Imaginative play also helps your child build positive self-esteem, and playing rescues with a friend is great for learning social skills too.